In the wake of the American Revolution, the Founding Fathers faced a daunting task: overcome their competing visions to build a new nation, the likes of which the world had never seen. As hostile debates raged over how to protect their new hard-won freedoms, two men formed an improbable partnership that would launch the fledgling United States: George Washington and Alexander Hamilton. 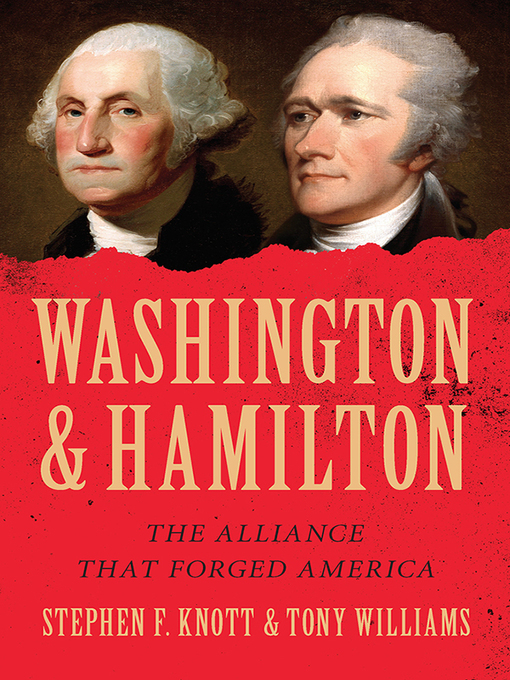 Washington and Hamilton chronicles the unlikely collaboration between these two conflicting characters at the heart of our national narrative: Washington, the indispensable general devoted to classical virtues, and Hamilton, an ambitious officer and lawyer eager for fame of the noblest kind. Working together, they laid the groundwork for the institutions that govern the United States to this day and protected each other from bitter attacks from Jefferson and Madison, who considered their policies a betrayal of the republican ideals they had fought for. Yet while Washington and Hamilton's different personalities often led to fruitful collaboration, their conflicting ideals also tested the boundaries of their relationship—and threatened the future of the new republic. From the rumblings of the American Revolution through the fractious Constitutional Convention and America's turbulent first years, this captivating history reveals the stunning impact of this unlikely duo that set the United States on the path to becoming a superpower.